Thanks for highlighting this update Phil. Great to see the 5 star ratings making a comeback. Can confirm that I’m seeing the same here in the UK and am looking forward to them finally showing up again in the full local search results. Amen to that, Nick. Thanks for stopping by. Can anyone explain how I went from a 30/30 score with 17 perfect 5-star reciews only to now have all the same 5-star reviews with no review less than perfect, but yet the rating is 4.8??????? Google has a way of making me sooooooo frustrated. Can confirm that I’m seeing the 5-star rating in Holland. Looks way better than the Zagat score 🙂 Seeing those same 5-start ratings in the new Maps also. Thanks, Roald. I’d seen them in the new Maps, too, but it’s nice that the 5 stars have rolled out more broadly. 5 stars for this post Phil! Yeeha! The 30/30 scores were a bit daft over here since no one really knew what Zagat was – it only seemed to have been taken up by a few restaurants in some very random towns. I shall be really pleased to get my stars back. There must be a 4-star in there somewhere. 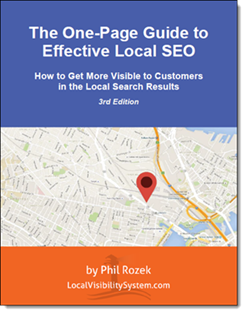 Have you clicked the “More” button at the bottom of your Google listing? Feel free to post the link and I can take a quick look. Very interesting. Do you happen to remember what your “Zagat” rating (the 0-30 -point scale) was? Was it like 29/30? well I don’t remember seeing a zagat rating. As far as I remember that part was grey n score 0. Well, now you’ve heard from Professor Maps. His point about the “rounding errors” is why I asked about your old Zagat rating. Thanks. I didn’t know the point about inherited ratings (like from HotPot). Very interesting. Mike’s answer (below) seems to apply here. There are several reasons that this may be the case. One is that ratings given previously but not shown in the interface can drag down the score. Ratings used to be able to be given via HotPot and feature phones. Apparently there are still some feature phones where this is still possible. Two is that they sometimes have rounding errors moving between they systems AND under the Zagat system with multiple criteria there may have been some attribute on which you fell down that is not shown but is pulling the score down. We take these ratings, average them, and then multiply by ten to arrive at averaged scores. We then may adjust the overall ratings based on user inputs and other signals to ensure these ratings best reflect the quality of the establishment. We calculate an overall rating based on user ratings and a variety of other signals to ensure that the overall score best reflects the quality of the establishment. Essentially translated: they use non visible criteria and can be somewhat arbitrary. Even the 29/30 was often based on non visible “other signals“. See this post in the forums where it was discussed http://productforums.google.com/forum/#!topic/business/TlLdRcNJCi8 . Essentially Google is saying that 1+1+1+1+1 doesn’t always equal 5 in their book. And they are saying that they don’t have to explain it or rationalize it. As Harry Wormwood (played by Danny Devito) said to Matilda in the movie: Harry Wormwood: Listen, you little wiseacre: I’m smart, you’re dumb; I’m big, you’re little; I’m right, you’re wrong, and there’s nothing you can do about it. I experienced the 29/30 score as well. Does anyone have any info on the service business listing merge. Taking a long time. With this new , old system it looks like Yelp is coming back strong with there reviews showing up in the first and second positions. Yelp pretty much always ranks tip-top organically. 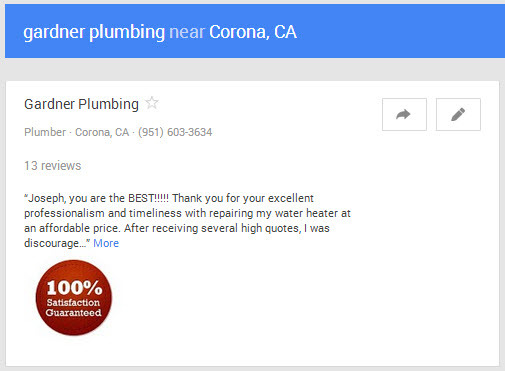 If anything, Google’s re-introduction of the stars steals a little more of Yelp’s thunder in the SERPs. I was just staring at my map listing today thinking something had changed until the penny dropped. This is Ireland so looks to be a widespread change back. I was stuck with a 29/30 rating as well…much happier to have 5 starts back. Much less confusing for the end user…and it looks great! Yeah, the change back to 5 stars is universal. I’m pretty happy about it, too. I did finally ask my small client base for reviews and they happily said yes. I’ve now hit 5, but the stars are not showing up yet. Even though they are all legit reviews from clients and they did post, I am a little worried that I got them quickly (3 days) and they all rated 5 stars. 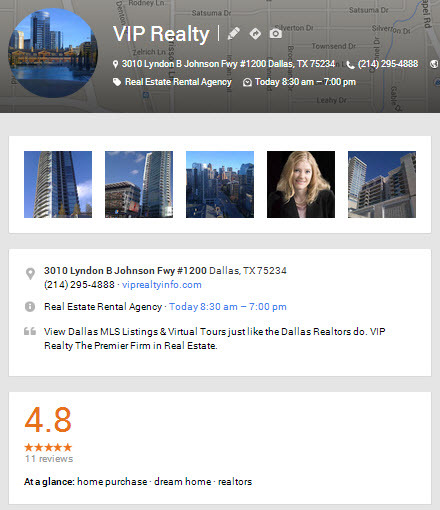 Is there a time frame before Google shows the stars in the search results or Google+ Page? It takes a few days perhaps as many as 5 for all of the stars to align and the stars to show everywhere. Great Post Indeed. But one thing I would like to ask, As per your post I told my client that stars will show up once you have 5 or more than 5 reviews and my client asked their customers for review and he got 5 but still stars are not showing on Google+ Local page. Any advise what should I do ? I’m guessing one of them is a “rating” – that is, a number of stars (1-5) without review text. The only solution is to get a few more reviews. That’s what I’d suggest even if there was no such thing as stars. Actually I am talking about Average rating. Phil – Great insight here (as is very common). You and Mike Blumenthal do a ridiculously good job of distilling this stuff down so schlubs like me can almost undertand it. Like many previous posters, our score trajectory is strange too. We have all 5 star reviews, and the entire (short) time G was showing the Zagat style rating we had 30/30. We monitor this stuff several times a week. However, we are now at a 4.6. This seems so unjust for Google to present this score. Mostly because other businesses in our category with fewer review can seemingly easily achieve a 5 star score for coming to the review party much later. Do you know of any resource at Google that would provide a manual review? “Unjust” is a generous choice of words. FWIW, a hunch tells me Google will get this straightened out soon(ish). But in the meantime, no, there’s nobody at Google we can contact who can help. If it makes you feel even a little better, one of my clients is down to 4.5 after having been 5.0 for 3+ years.